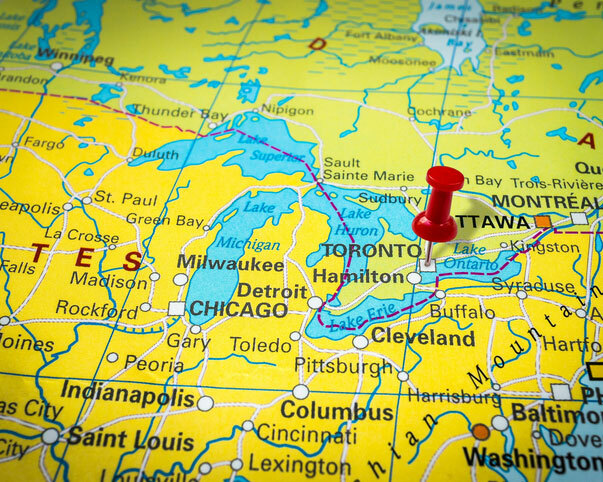 With warehouse facilities in Houston, Texas (USA) and Toronto, Ontario (Canada), we are advantageously located to support your international logistic needs. Our Houston facility is strategically located near the Port of Houston, which means efficient access to destinations in Mexico and the U.S., as well as shipments around the world. 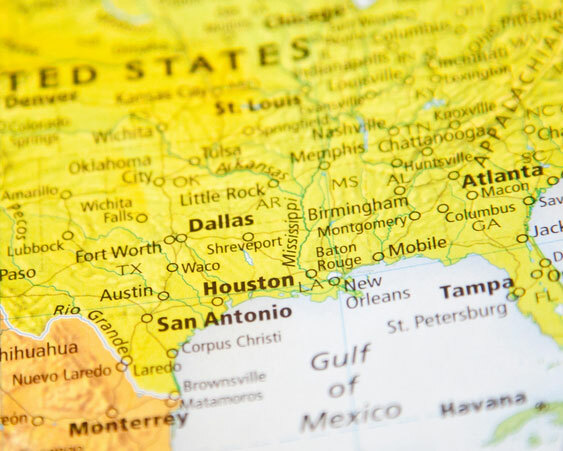 As consumers demand faster delivery from their vendors, our Houston location positions us to assist our clients with the 1 and 2 day small package deliveries in the central and southern areas of the US. While we are experts in small parcel shipping, we manage the complete supply chain, regularly shipping by pallet, less than truckload (LTL) and full truck loads. Toronto, sometimes referred to as "New York City North", is the undisputed commerce hub of Canada. Our facility in Mississauga, Ontario, part of the Greater Toronto Area (GTA), is conveniently located at the junction of Highway #403 and the Queen Elizabeth Way, one of the busiest intersections in the county. The Port of Toronto along with two of Canada's largest rail facilities and Pearson International Airport are within a 45-minute drive. The Port of Toronto is one of Canada's largest inland ports, located on the northwest short of Lake Ontario, processing 2.2 million metric tons of cargo. While there a no exact depot statistics available, Canadian National, CN Rail, and Canadian Pacific, CP Rail, each handle over 300 million tons of freight with a large percentage flowing though the Greater Toronto depots. Toronto Pearson Airport processes 1 million metric tons of cargo annually. Talk to us about your shipping and freight strategy. Our logistics experts can help design your program to manage your spend and optimize outcomes.